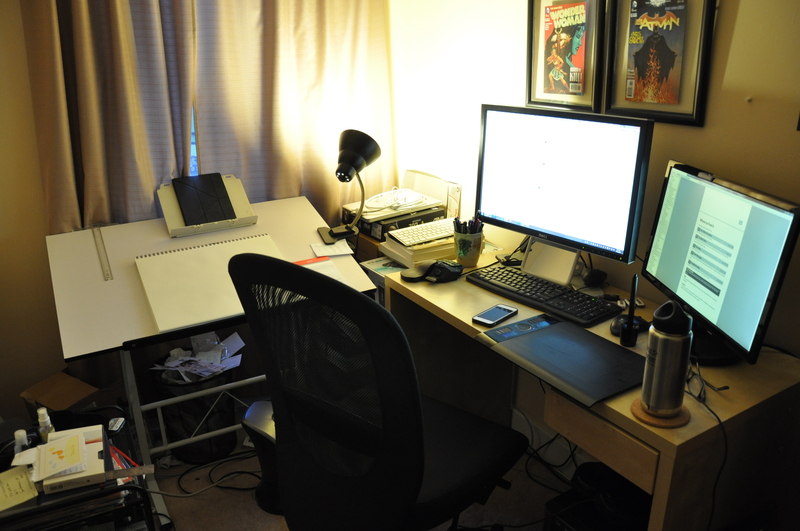 Ahhh and here is my workspace in all its messy glory. Let’s get the boring stuff out of the way first. I have two. The one on the right is a cheap Ikea computer desk that I got a couple years ago. I want to say it’s a Malm something or other but I just checked the site and I believe it’s discontinued. It’s a bit crowded with my dual monitor setup, especially when the tablet’s there too, so I’m hoping to replace it with something larger relatively soon. On the left is a drafting desk from Michaels that I got in college. It’s a very basic drafting desk, with adjustable height and desk angle, much as you would expect. I also stuck a book stand on top of it so I can keep my iPad or whatever book I’m drawing out of/using for reference right above my drawing pad. As you can see I sort of rigged up an L-shaped desk setup so that I can just turn my chair to the left and start drawing, which is really nice and convenient. I’ve also got a small, very messy file cabinet to the left of my drafting desk, where I keep important papers and whatever odds and ends don’t fit into my little desk drawer. Oh and my chair was given to me by an old roommate, I have no idea where it came from. I have a custom built PC that my boyfriend, who is experienced with PC building, helped me put together a few months ago, and I love it. I grew up on PCs but switched over to Apple in college. I loved my Mac Book Pro (which you can see is still sitting in the corner of my office) and I thought I could never go back to Windows. Everything worked so well! But after a few years of use it started slowing down immensely and buying a whole new one was going to be too expensive. And since I wasn’t in college anymore I didn’t need to lug my computer with me everywhere, so I no longer needed a laptop. I also wanted to get into PC gaming so I switched to this new computer and so far it’s been pretty great. A few hiccups here and there (getting Maya to run was definitely a bit more of a hassle than on my Mac) but nothing catastrophic. There are a few apps and things I miss, but all in all I’m happy with this switch back for now. I’m not one of those people who will lecture you about Macs vs. PCs, I’ve used and loved both, but this current setup is what’s working well for me right now. 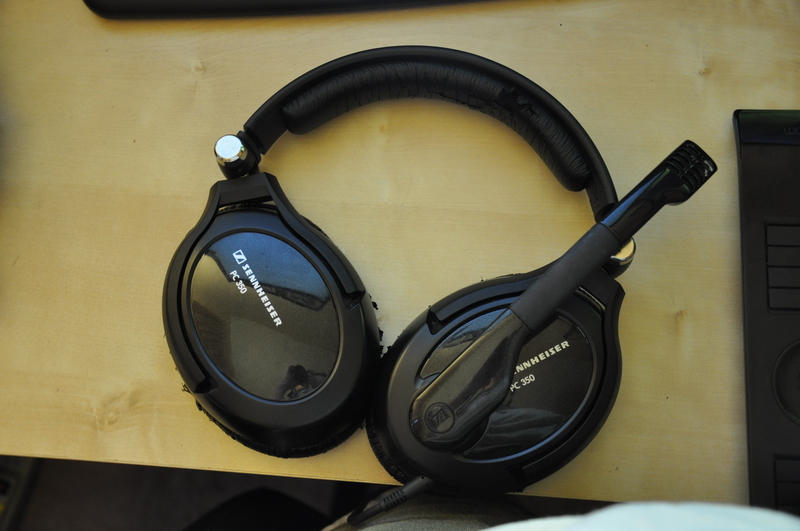 Perhaps in a future post I’ll go more in depth and list my specs but for now, onto the rest of my stuff. Of all the hardware and tools in this post, a second monitor is probably the one that I’d give up last. 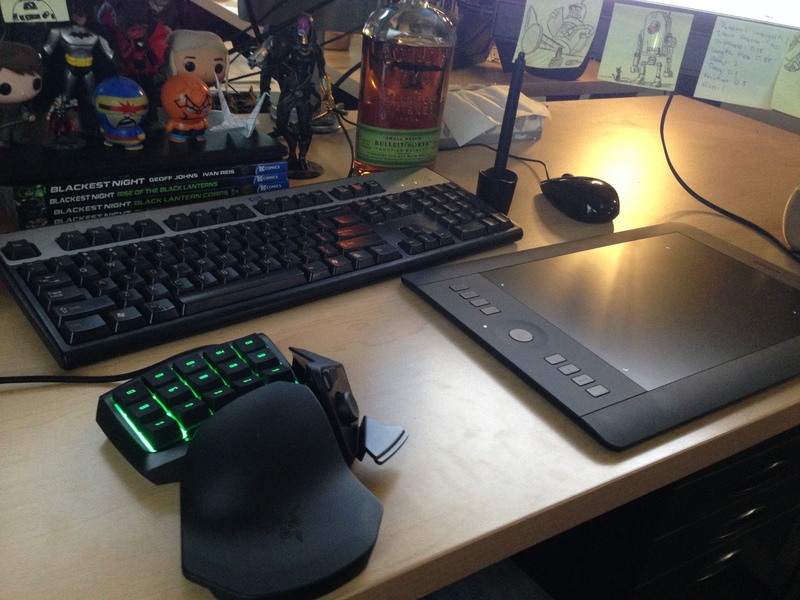 Take my tablet, take my keypad, take my drawing desk, but do not take my second monitor. I can barely animate without it. Please don’t actually take any of those things, I love them all. The first place I ever used dual monitors was at DreamWorks/PDI when I interned there in college. I fell in love with using them and immediately bought a monitor to hook up to my old laptop. Now with my PC I have my main one (on the left, a hand me down from the boyfriend) and the one I bought in college (on the right) is now my secondary one. I’ll get more into my dual monitor setup in Maya in a future post, but generally either my camera view or my graph editor lives on my second monitor while my viewport is on my main one, with some switching around depending on circumstances/type of shot. It does bother me slightly that my monitors aren’t the same, but I’ll probably buy a duplicate of my main one eventually so that they match. I never spent too much time getting them to match color and calibration, so things look different on each monitor. At the moment I don’t do any lighting or work with color so it’s not really an issue, but if you are also a painter or a lighter, probably don’t do that. It is so much nicer to have double the screen real estate. If you’ve never used dual monitors, try it. You’ll never know how you animated without one. end up with bits of black plastic on my ears and neck but they are so comfortable that I don’t really care. If you don’t live alone, a pair of headphones is a must. You don’t want to drive your roommates/significant other/family insane when you’re animating a dialogue shot and have to listen to the same line over and over and over again. They don’t have to be fantastic headphones necessarily, a pair earbuds will do, but definitely consider getting something if you’re going to be animating to dialogue or sounds at all. Those around you will be thankful. My trusty tablet is another purchase I made in college. It’s a medium sized Intuos 4, and while it is looking a bit ragged, it’s been nothing but good to me for the past few years. I bought initially for drawing purposes only but then someone, I forget who, suggested I start using my tablet in Maya, since my right wrist had been bother me a bit and holding a pen doesn’t force your arm to twist the way using a mouse does. After that, my wrist stopped hurting completely. While a tablet isn’t absolutely essential, I would definitely suggest getting one if you can. 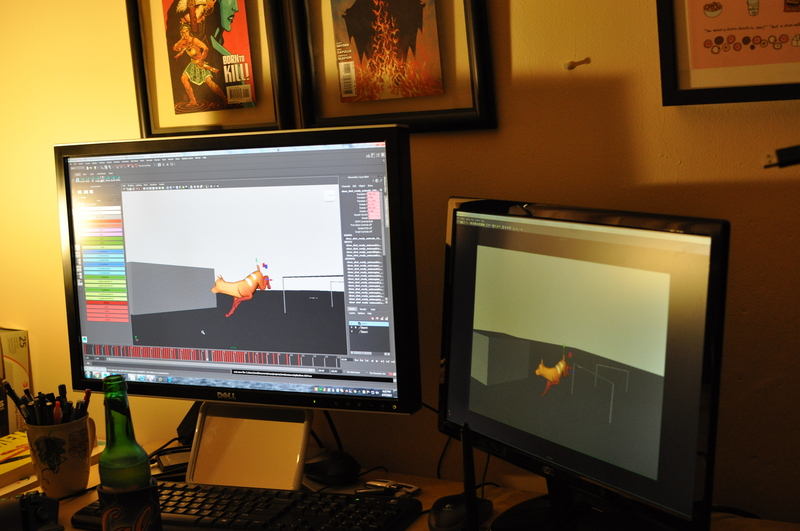 A mouse will do, but it’s very useful to be able to draw over your animations and it’s more ergonomic as well. Oh man. My keypad. I have a lot of feelings about my keypad. It is definitely the least essential of all my hardware but man I am in love with it. 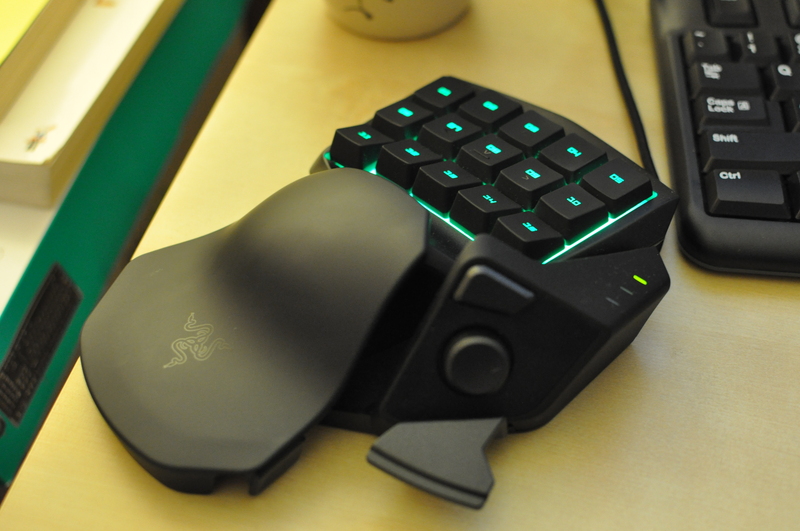 It’s called the Razer Tartarus, and it’s actually made for gaming (if you couldn’t tell from the super extreme name). You can map pretty much whatever you want to each of the keys, so it’s useful for games with lots of keyboard shortcuts. One of my coworkers turned me onto it for animating. He has an older model (they took away the scroll wheel on the new one which made me a little sad) and explained that he had mapped all of his hotkeys to it, so he didn’t have to move his hand around the keyboard all the time to access all the hotkeys he wanted. I had sort of done a simliar thing with my normal keyboard by reassigning certain hotkeys so that my most used ones lived around where my left had normally rested, but I ended up having so many that I still had to move my hand around a lot. Plus, my thumb had to curl under my palm to always rest on the alt key which wasn’t very comfortable. I decided to try the newer version of the keypad my coworker had, and I have not looked back since. It’s really comfortable to use, and you can have up to eight configurations for the buttons ready with just a click, so you can have pretty much every hotkey you’d need ready with just a flick of your thumb. My keypad will be getting its very own post soon when I go more in depth with my hotkey setup, but just know that if you use a lot of hotkeys and are tired of your hand flying all over your keyboard, definitely look into getting one of these. I swear by this thing. Plus it’s really nice to have for actual games too. There are a few other options available, and the nicer version of this one has another row of keys and I believe an option for mechanical keys. Shop around if you’re interested in that but the Tartarus won’t steer you wrong. Nothing to write home about, just plain old Logitech mouse and keyboard, I don’t use either very much when I’m animating except to type things in. Most of the time my left had is on my keypad and my right holding my pen. If you don’t like Buster Posey then we can’t be friends, I’m sorry. Another essential for any animator’s desk. I keep mine right below my monitor so I can just glance down when needed. I’d have a hard time animating any lipsync or facial stuff without it. I’d suggest getting one that has some sort of adjustable stand or back in case you need to move it around or adjust the angle. I’ve also seen some that clip onto your monitor which sounds kind of neat, but haven’t been able to find any that aren’t convex. If you head to your local drug store you should be able to find something suitable in the makeup section for quite cheap. I am lucky enough to have a boyfriend with a very nice DSLR that I can borrow whenever I need to shoot video reference, but really, a flipcam or your phone will work just fine for shooting reference. 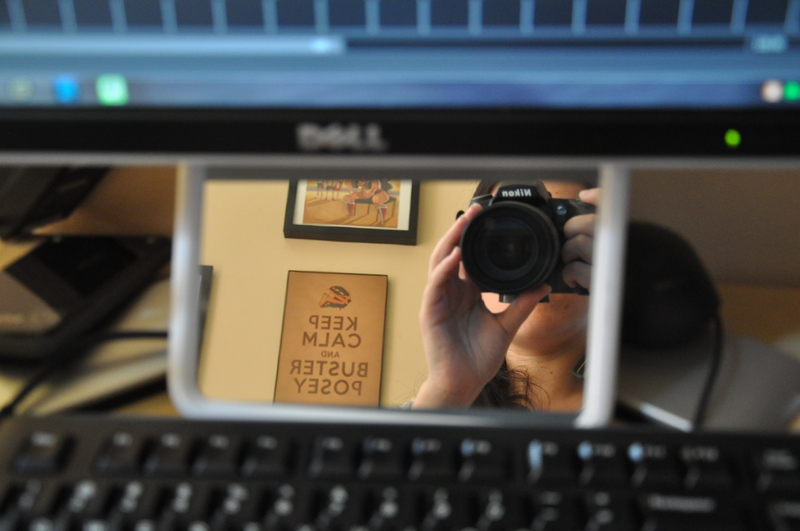 Even a webcam can work in a pinch. Having a tripod is also helpful in a lot of cases for getting a camera angle that’s close to what you’ll be animating. In the future I’ll go more in depth about how I analyze video reference, but in most cases it is extremely useful. And last but certainly not least, I always keep a pad of paper and a pen withing arm’s reach. I use a lot of organization apps to keep my thoughts, lists, to dos, etc organized but sometimes writing a thought down is the fastest and easiest way to do things. It’s also nice to have something to doodle on while you’re waiting for a long shot to playblast. So there you have it! My hardware setup in a nutshell. I hope you enjoyed my very first post. I’ll discuss useful tools in the next post, get ready for part two soon! P.S. If you’re wondering, my work setup is almost exactly the same, just with a bigger desk (goes from sitting to standing) and no drafting desk. See! su parecer. He visto que tienes más informaciónes, ofrezco agarrar un momento para ojearlas. Ten por fijo que seguiré todas tus revelaciones. Te alabo por tu sitio web.